2019 is just around the corner and that means that our 2018 RVs need to move! We’re making room for 2019 toy hauler travel trailers and toy haulers fifth wheels. If you’re been looking for a great deal on a new RV for sale, this is the time to checkout our huge toy hauler overstock sale happening now. During this sale you’ll find 2019, 2018, and a couple of 2017 toy haulers for sale all at incredible prices and backed by the confidence that comes from buying from a company like ACNRV. The Vengeance toy hauler travel trailer is an absolutely stunning toy hauler that sleeps up to six people (in the 29V floorpan). 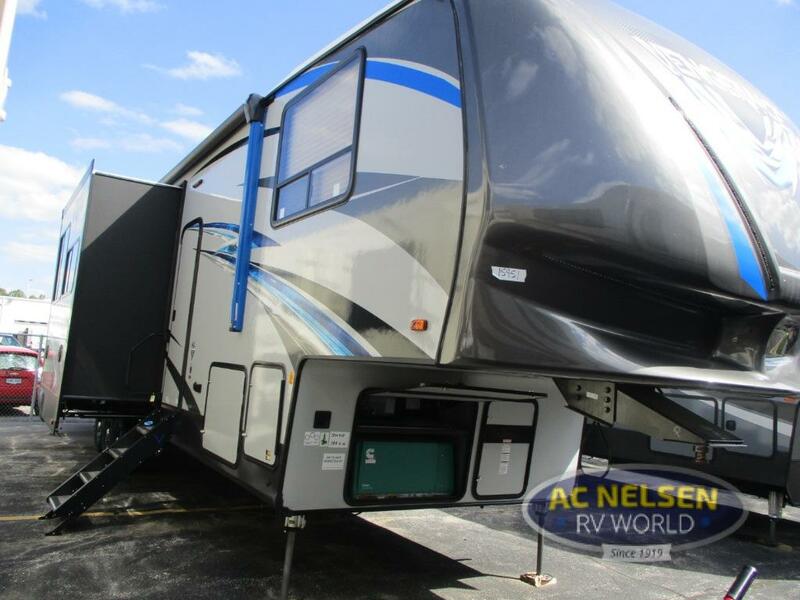 It features a 102” wide body, 21’ power awning with LED lights, and much more. The enclosed underbelly makes traveling in a variety of climates not just possible, but also comfortable. 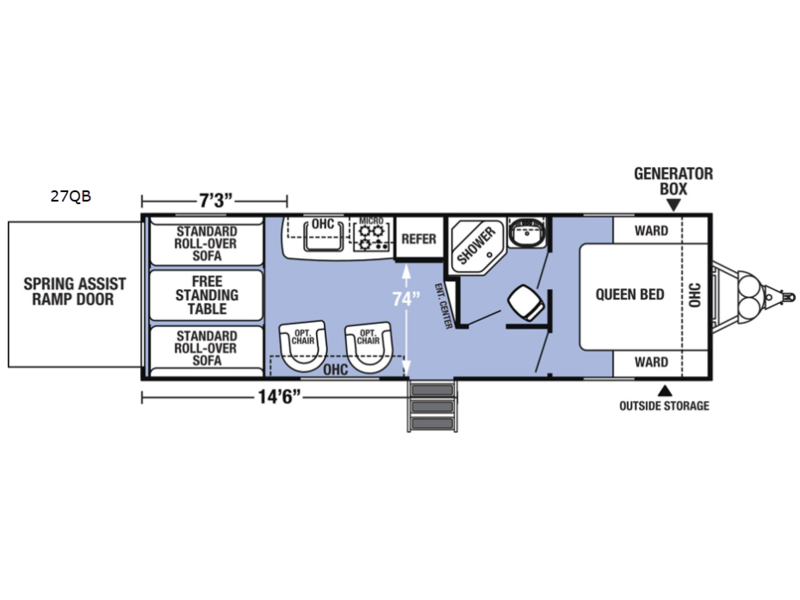 Additionally, this RV features residential wood blinds, a large kitchen equipped with a convection microwave over and three burner range, and much more. This impressive floorplan features a front bedroom with a queen sized bed and two wardrobes, overhead storage, and an attached bathroom with a Neo-angle shower. The Vengeance 388V16 sleeps 9 people, making it a great RV for large families or those who like to vacation with friends. This floorpan includes not just a full bathroom, but also a half bathroom to accommodate up to 9 people at once. A lovely fireplace creates a warm and welcoming ambiance. At the front of the RV there is a large private bedroom where mom and dad can unwind away from the kids. And, at the back of the RV there is a 16’ separate garage that can house all your toys or just a bunch of rowdy teenage boys. If you’re interested in learning more about our selection of toy haulers for sale, Contact Us or stop by to shop during our overstock sale happening now. Our team will help you find the best floorpan and brand for your needs, answer any questions you have, and get you on the road to family fun in no time.